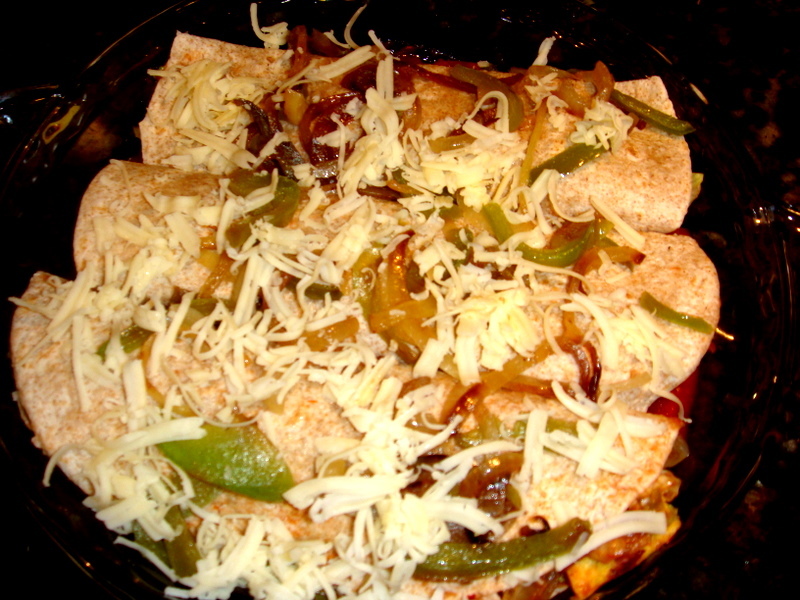 vegetarian enchiladas | Big Burrp! 1 onion, 1 large pepper (orange,green or yellow)Some jalapeno peppers from the jar. Shredded Lettuce, 1/2 cup grated cheese, salsa and fat free sour cream. In a sauce pan, mix beans,salsa hot sauce,water and taco seasoning and let it simmer till beans are mushy. Partially mash the beans so the mix is thick and coarse. Keep aside. Saute the onions and peppers until golden and tender, season with salt. keep aside. In a baking dish, spread some salsa to wet the bottom. Take each tortilla and in the center spread about 3 tablespoons of bean mix, top it with onions and peppers, shredded lettuce, guacamole and add some salsa. Fold one side of the tortilla followed by another so that it becomes a stuffed roll. Do the same with the other tortillas. Lay them on the baking dish, top them with grated cheese and bake them in the oven at 350 degrees for about 15 minutes until the cheese is gooey and melted. 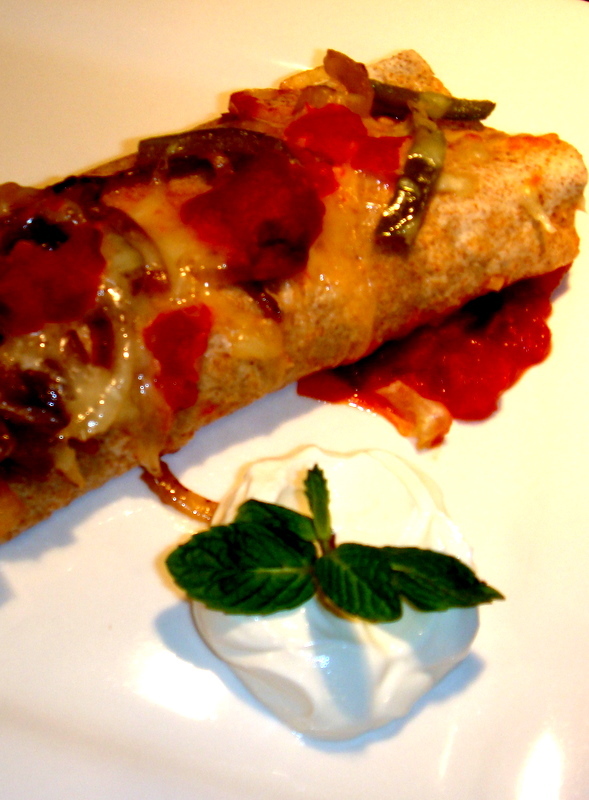 To serve, top each tortilla with a dollop of sour cream and salsa.